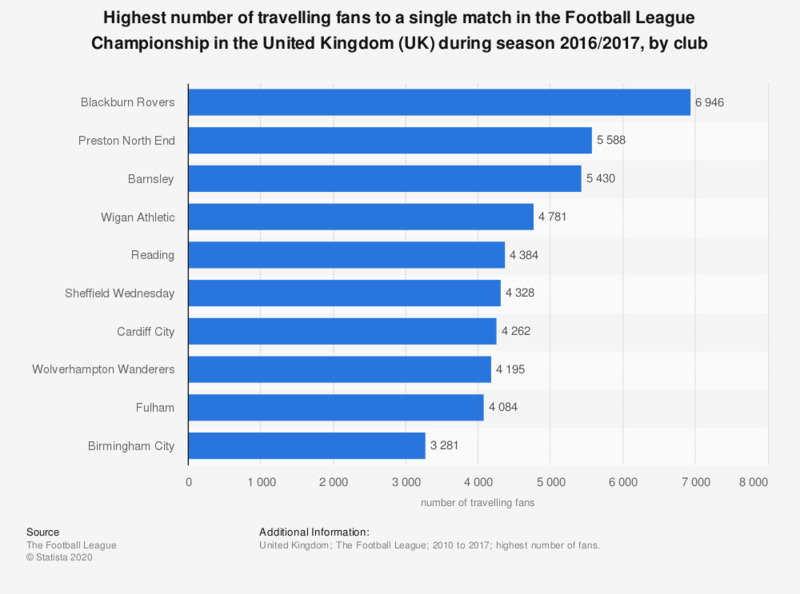 The statistic displays the highest number of travelling fans in a match in the Football League Championship in the United Kingdom (UK) during season 2016/2017, by club. During the 2016/2017 season, the highest number of travelling fans to a single match from the Blackburn Rovers football club was 6,946. More information about football in the UK can be found in the Dossier: Football in the United Kingdom. The Football League Championship is the highest football league in the UK after the Premier League.